Many social innovators working on complex issues are driven by principles, as much as theories of change and plans. In fact, principles are often included as a central part of the strategy. Improve the chances of making progress on complex issues (e.g., “Housing First” vulnerable persons who find themselves homeless should be given safe and adequate housing BEFORE they can be expected to wrestle with their other vulnerabilities). Despite the importance of both types of principles in social innovation, there has been little guidance on how to evaluate their meaningfulness, application and usefulness on the ground. Until now. Principles-Focused Evaluation, the latest contribution from Michael Quinn Patton, is designed to address this gap. And it has quickly caught the attention of people from many different disciplines. "Principles-Focused Evaluation provides a practical toolkit for guiding and shaping the urgent work of shifting institutions, systems, and cultures from maladaptive to adaptive states. 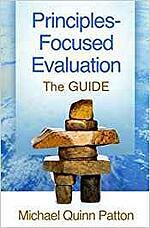 […] This is a timely and important book for evaluators -- and for the social innovators, policymakers, educators, and funders with whom they work." This page captures Tamarack-supported exploration of this important contribution to the field of social innovation and community change. 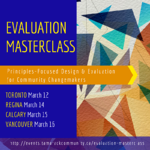 From March 12-16, 2018 Michael Quinn Patton and Mark Cabaj travelled to four Canadian cities (Toronto, Regina, Calgary and Vancouver) to deliver an Evaluation Masterclass focused on Principles-Focused Design & Evaluation for Community Changemakers. Read this Frequently Asked Questions (FAQ) document which explores 15 questions that continued to come up during the Masterclass sessions or that the book did not directly address. Michael Quinn Patton’s book on principles-focused evaluation is the first ever comprehensive exploration of this topic in the English-speaking world. Buy it here. The Strategy Continuum is a new resource that integrates principles-based strategy and evaluation as part of broader scan of different strategies for tackling complex change initiatives. 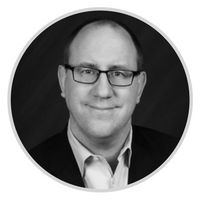 The Learning Centre's Evaluating Impact Idea Area is curated by Mark Cabaj. Mark is President of the consulting company From Here to There and an Associate of the Tamarack Institute.